IFNS - Stock Flight Systems - Designed to fly. The Integrated Flight State and Navigation Sensor (IFNS) provides complete flight state and three dimensional GPS position data together with air data including baro-corrected altitude and calibrated airspeed. All data is acquired, processed in realtime and transmitted over the integrated CANaerospace/ARINC825 interface. 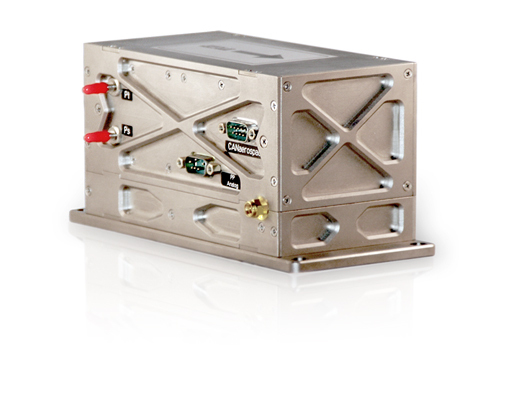 The IFNS is the ideal choice for an airborne, CANerospace network based flight data recording system. state gyros for the pitch, roll and yaw axis, integrated silicon accelerometers, a three axis magnetometer for magnetic heading reference and a 12-channel GPS receiver with aerospace standard L1/L2 antenna. All data is precomputed, filtered, calibrated and transmitted via a CANaerospace/ARINC825 interface at a rate of 50/s (20ms) and conveyed in engineering units. Optionally, up to 16 additional discrete/analog inputs can be used to combine additional aircraft data with the IFNS information and transmit it together with the IFNS data in a time correlated manner.